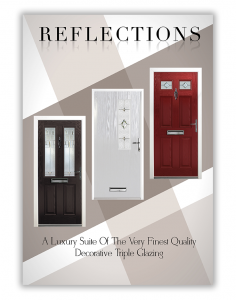 Please view our brochures online. 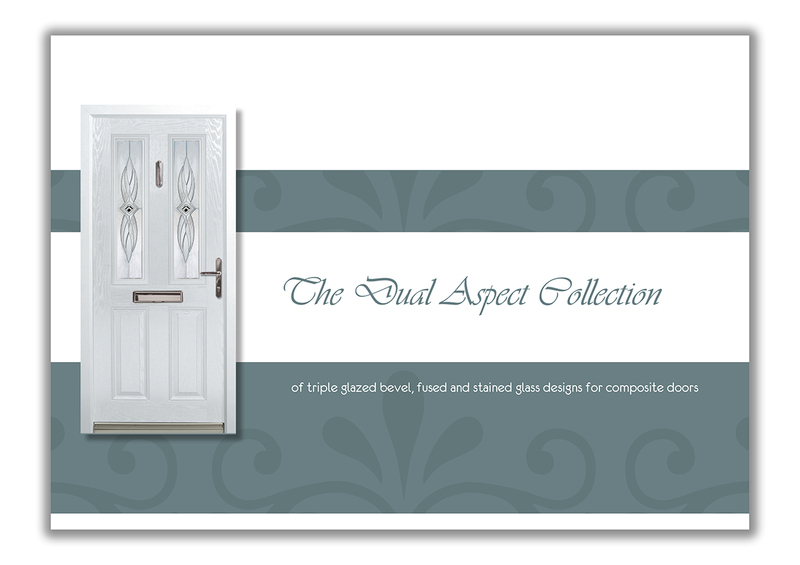 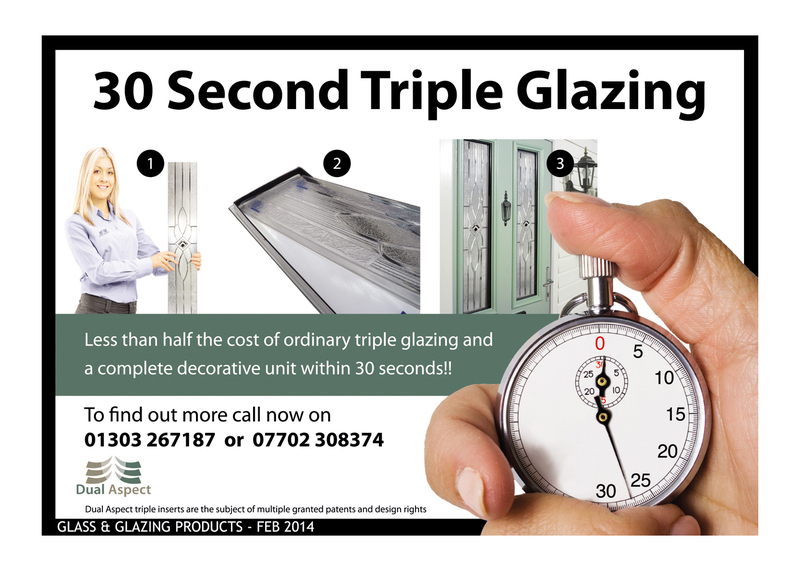 ‘The Dual Aspect Collection’ – new triple glazed technology at half the price of Asian imported triples!!. 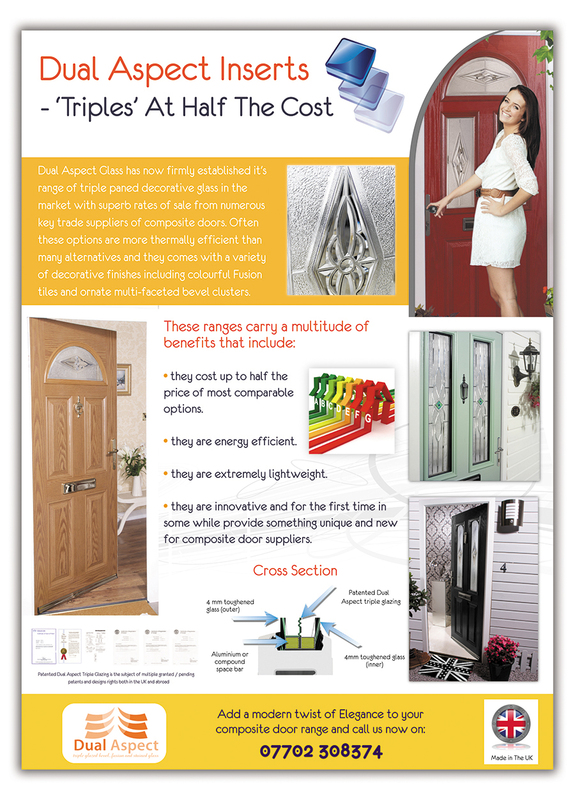 Click image to see flipover interactive brochure. 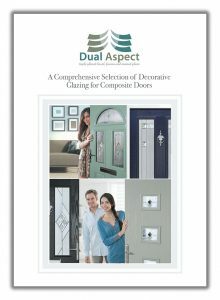 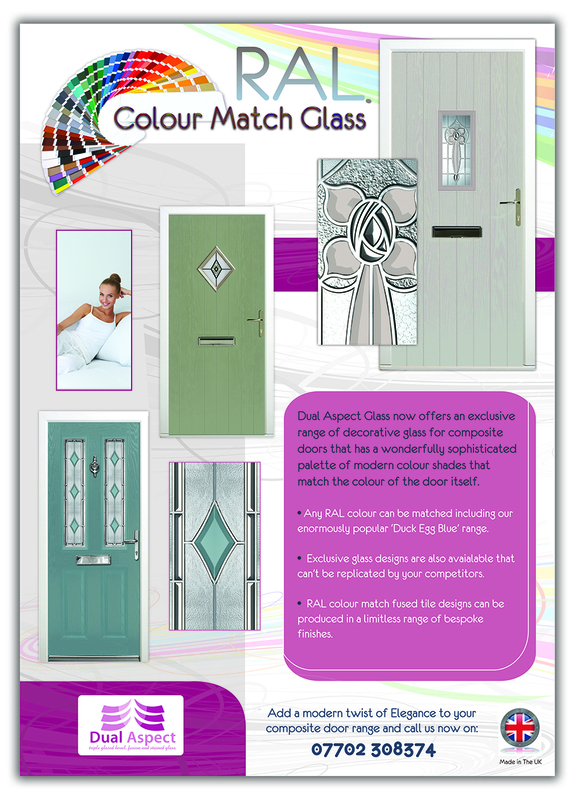 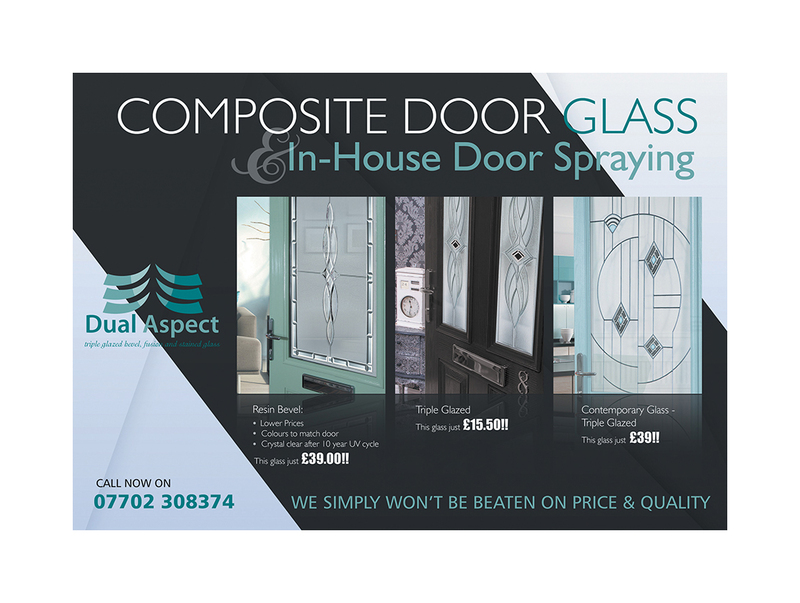 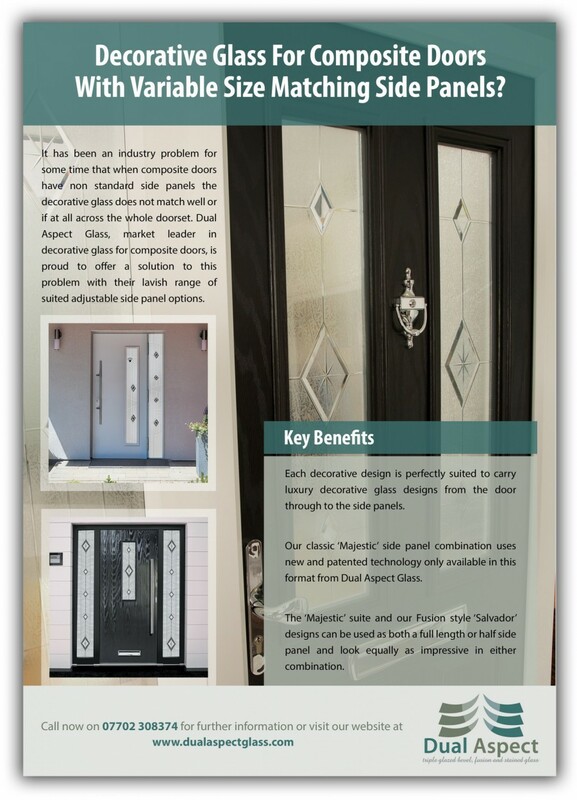 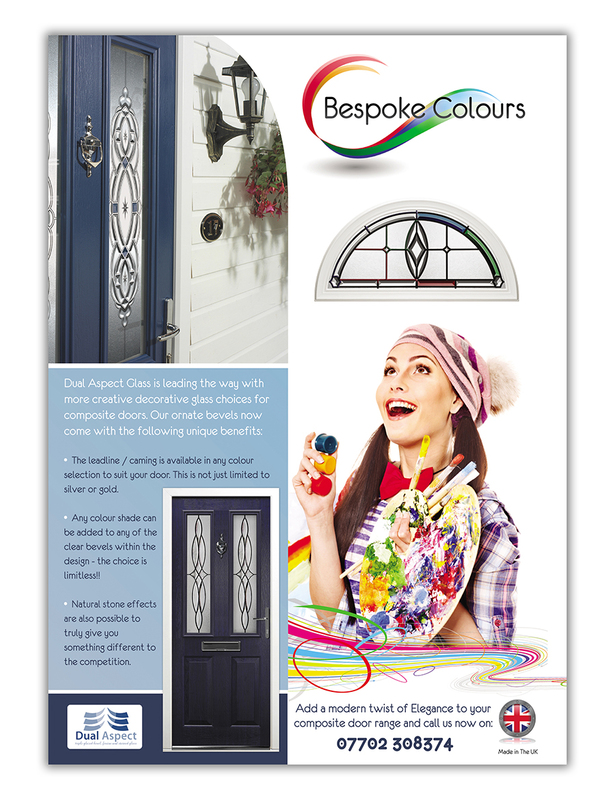 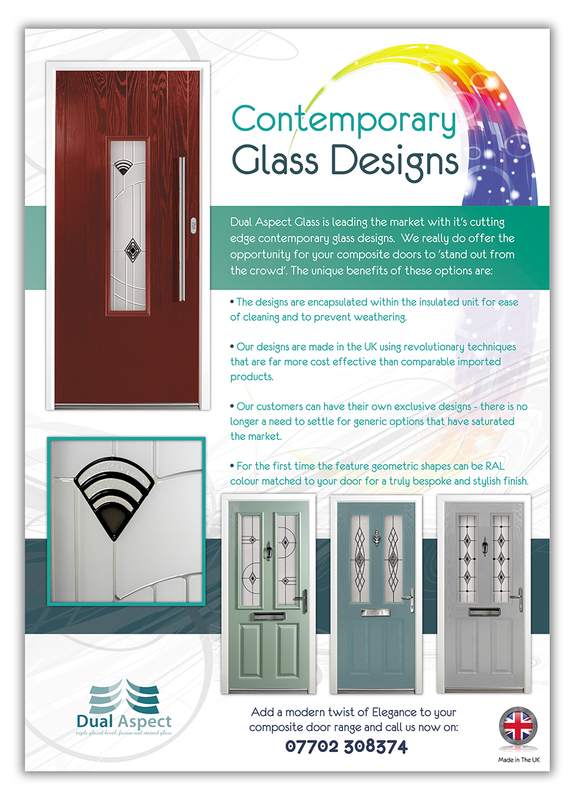 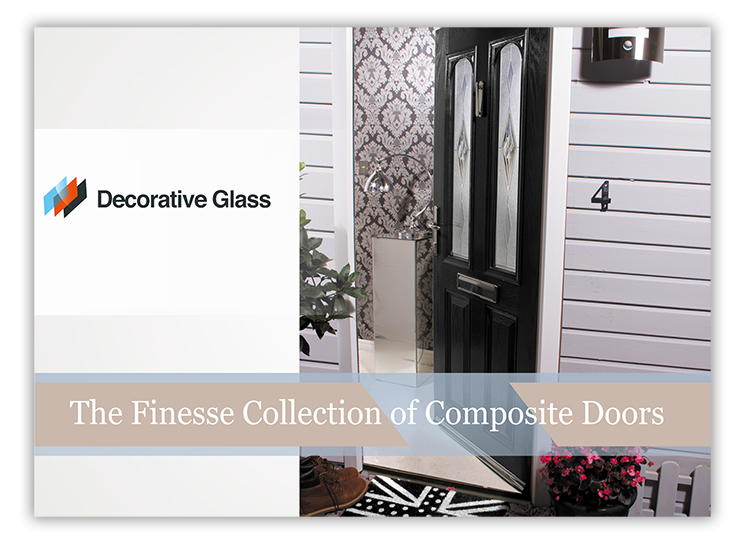 Dual Aspect Glass Leads the field in the supply of decorative glass for composite doors. 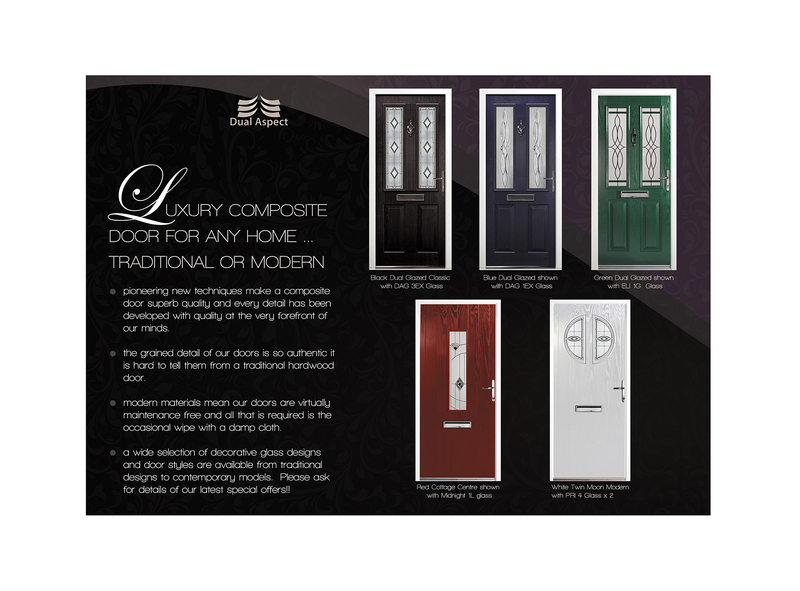 Our processes are not only new and innovative but also offer superb value for money. 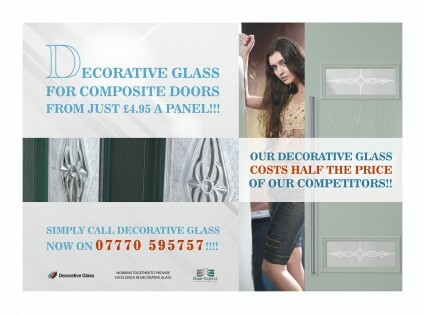 Take a look at the attached flyers. 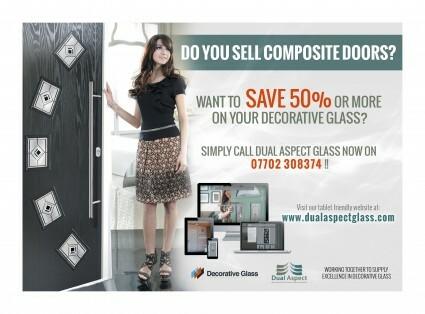 We can also customise flyers and brochures for your companies use.